Earlier this year Facebook shared its vision of a chatbot-filled future - AI-powered programs working through Messenger to help us order pizza, find support with a wonky gadget or get the latest football scores. They're kind of a cross between digital assistants (like Google Now) and telephone support lines. Well, developers apparently love the idea: there are already 11,000 bots available on Facebook, the head of Messenger David Marcus says. 23,000 developers have signed up to build bots too, so it sounds like there are a lot more on the way. The benefits of being able to outsource your ordering system to chatbots who never take a break and never get grumpy are obvious, but whether users are going to embrace this new era of artificial intelligence quite so enthusiastically remains to be seen. If you've heretofore been chatting with real human beings on Facebook and fancy a change, head to this listings page and have a browse - anything with a Messenger icon next to its name has a bot, so you can start chatting with the business or brand and see if you're able to spot the signs of artificial intelligence. 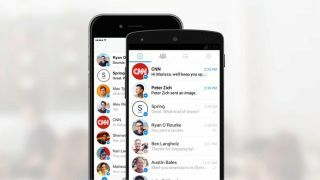 Facebook is by no means the only tech company investing in a bot-filled future: you can find them inside Microsoft's Skype apps and they're coming to Google's new Allo messenger app too, in a slightly different form. At the same time as announcing Facebook's bot army is now 11,000 strong, Marcus also introduced some new tools for developers to take advantage of, including more content types (so a bot can send a GIF in your direction). If you're interested in the technical details behind bot development, there's a new official blog to keep an eye on.